Connected band-aids are here but which are wear, square and nearly there? We've been banging the drum about wearables disappearing for over a year now, and the band-aid form factor is a sure sign of an increasing trend. 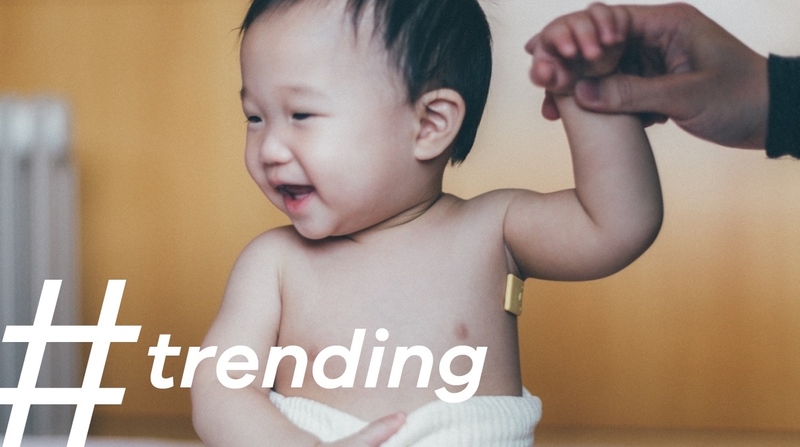 This year has seen a raft of sensors and devices take the form of stick-on plasters. But why is this happening? Well, there are benefits of putting a sensor in a band-aid. Firstly, it enables you to choose areas of the body far better for collecting the data you need. Forget monitoring heart rate from the wrist – most band-aids adhere to the chest, which is closer to the action and less susceptible to the noise of light and movement that plague wrist-based monitors. And we've seen plenty of good ideas filtering through. Aside from the names mentioned below, Temp Pal enables users to keep tabs on their baby's vitals and get alerts about changes in condition – aimed at those nursing a sick child. The same outcome is the vision behind BeVital, which is designed to be used in hospitals as an early warning system for changes in patients' vital signs. And it's not just band-aids, plasters and patches. Connected tattoos are getting attention, in the form of Tech Temp Tattoo, Tech Tats and a brand new project from Microsoft Research – all of which draw circuit board onto the skin using conductive ink. So why aren't we using stick-on wearables for all our training needs? Well, there are obvious downsides. The need to replace the sticky element each time you wear is probably the biggest. Then there's the lack of room for batteries and the fact that connected plasters don't have screens, which can be something of a fiddle to interact with. So what can you get hold of today? Let's run you through the good, the bad and the ugly of stick-on wearables. Newly reviewed by Wareable editor Michael Sawh, the SenseOn is almost ready for prime time. The stick-on sensor keeps tabs on your heart rate and breathing, reporting it back to a partner smartphone app. We found accuracy to be consistent with a chest strap, give or take a few bpm, and it cross-checked heart rate variability with breathing to estimate recovery. It's not perfect by a long way. You get 30 stick-on plasters and there's no information how to get more, we suffered some un-sticking issues and it was a pain to sync. But when it comes to band-aids, this is as good as it gets. Giving this our 'nearly there' award is a bit of a stretch, as GraphWear's SweatSmart is a shoddy, unfunded student project from the University of Pennsylvania. The original stick-on heart rate wearable, crowdfunded AmpStrip pulled the plug on its project leaving backers furious. Much like SenseOn, AmpStrip was designed to keep tabs on heart rate during workouts, by syncing to a smartphone. The project was canned due to a 'lack of resources', but AmpStrip could live on as a medical product instead. Watch this space.